Pune: Constitution of India has made this country Secular and not the Hindu religion expressed Asaduddin Owaisi, President, All India Majlis-e-Ittehadul Muslimeen. He was speaking in Pune at the second session of ‘Words Count- The festival of Words’ on the topic ‘Demise of Secularism- The future of Secularism’. ‘Words Count’ – a festival of words has been hosted by Varsha Chordia and Sabina Sanghavi, renowned connoisseurs of literature from Pune. It is a brainchild of Advaita Kala, award-winning screenwriter, author and columnist, this day-long festival of words saw participation of political personalities, activists, journalists, writers and artists. The purpose of the Festival is to create a socio-political platform for civilised debates. 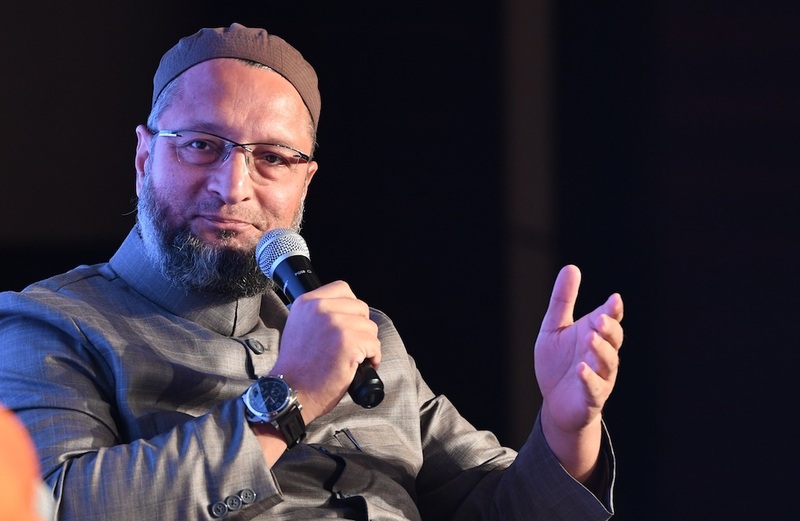 Owaisi was interviewed by Prafulla Ketkar, editor, Organizer. He was also asked various questions regarding faith, minority issues and current national politics by the audience as well. He also added that his own party’s s oath is to protect Constitution and as an Indian Muslim he has never believed or identified with an idea of creating an Islamic state. “My struggle is for the constitutional rights for minorities,” he said. Owaisi was further asked about his opinion on uniform civil code, he said, “India is a country that has diverse population. It is a country that celebrates multi-culture nature and that it why bringing uniform civil code would not be justified.” He added that the India’s judiciary is overburdened with cases. He cited statistics such as behind every 1 million Indians there are only 10 Judges. There are 5,000 more courts needed to addressed the pendency of over 2 crore cases. He was asked several questions regarding his views on Dr Babasaheb Ambedkar and the current attempts of creating a Muslim and Dalit alliance. He said, “It is important for minorities to come together. It is really unfortunate that most of the dalit, adivasi and muslim representation is in jail rather than in the parliament or at the national level,” he said. He highlighted representation of Muslims in the parliament, he said that currently there are only 22 members of parliament representing the community and none of them are from the ruling party. ओवैसी से क्यों डरते हैं संघी? और एएमयू मामले पर क्यों ख़ामोश हैं ओवैसी? यहां जानिए! आख़िर क्यों साल दर साल शिक्षा बजट में इज़ाफ़े के बाद भी सरकारी स्कूलों से दूर हो रहे हैं बच्चे?